For today’s edition of Dear Mark, I’m answering two questions. 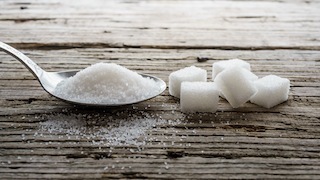 First, a new study out is one of the first (and maybe only) to show that acute sugar consumption can reduce the normal cortisol increase we experience in times of stress. Interesting stuff, eh? Find out whether I think this is a good thing, a potentially useful “hack”, or, given our collective tendency to overthink things and embroil ourselves in stress stews, a recipe for disaster. Next, we’ve all heard that weight loss releases stored toxins and environmental pollutants into our bodies, but is there any science that actually shows this is happening in people losing weight? And if we are releasing toxins by losing body fat, does that mean keeping the weight on is actually healthier? Find out down below. – and wondered what your opinion on it is. As someone who struggles with stress (though don’t we all?) and still sometimes craves sugar after 20 months of Primal living, I’m wondering if there’s a connection there! Yeah, absolutely there’s a connection. Sugar cravings are among the most commonly reported symptoms of high stress, and the study discussed in the article suggests a mechanism. For everyone else, the Vice article discusses a study showing that sugar consumption acutely reduces the cortisol response to a stress test in women. The control arm used aspartame-sweetened beverages, which did not lower cortisol. This may surprise you all, but it’s conceivable that using sugar intelligently as a stop gap solution can help in certain situations. Say your wife’s in labor. It’s been a long night that’s slowly turning into a long morning. You haven’t slept. You haven’t eaten. There’s a chance she might go into surgery. Any semblance of a birth plan has been scattered to the wind. Your mind, body, and entire being are beset by stressors on all sides, and the resultant stress is building. Is it possible that a Haagen Dazs ice cream bar from the vending machine down the hall could help balance your endocrine system long enough for you to make it through your wife’s ordeal without a mental breakdown and hopefully welcome your child into the world with tears of joy, not frustration? I think so, yes. The problem is that we don’t just use sugar to counteract the acute stress we occasionally encounter. We also tend to use it for chronic stress. The truly serious stressors — the deaths in the family, the breakups, the lay offs, the all nighters — are few and far between. Using something sweet to help us through those situations isn’t a big deal, like taking prescribed opioids to manage post-surgical pain. It may even be advised. It’s the chronic stress we encounter every day — the traffic, the annoying boss, the minor sleep deprivation from staying up late to watch TV or surf the web every night — that opens us up to excessive sugar abuse because, well, we’re almost always stressed about something. And if our response to stress is to make it worse by stressing out over it even more, that’s another layer of sugar cravings we’ve got to overcome (or submit to). The real trick isn’t eating gummi bears or drinking Mexican coke when stress hits, even though that might work in the short term. The key is to target the stress that’s compelling us to eat the sugar. Embrace the acute stressors (because those are usually unavoidable and unpredictable — the injuries, the family tragedies, the spilt coconut milk — and what else can you do but deal with them?) and figure out how to rethink, reframe, avoid, or overcome the chronic stressors. Of course, there’s something about the paper that limits its scope: the study only looked at sugar versus non-caloric sweeteners. What if you tested the cortisol-reducing effect of a slice of cheesecake, which provides a big dose of both fat and sugar, against that of soda, which provides only sugar? Other studies indicate that people eat more processed junk food (which is high in both fat and sugar) when under stress, so it may be that more palatable foods, whether it’s soda or cake, can reduce cortisol in the short term. Or what if it’s an energy thing; would pure glucose work by providing calories? We need more research, but clearly there’s something about comfort foods that we’re drawn to. It’s right there in the name, after all. We need comforting, from time to time, and that’s totally normal. Life isn’t a picnic. But if we figure out how to eliminate or at least really limit the stress we create out of nothing, we can probably indulge our stress-induced cravings when real stressors emerge without things getting out of hand, eating so much sugar so often that we develop fatty liver and metabolic dysfunction, or developing a full blown sugar habit. So if those sugar cravings truly are a “sometimes” kinda thing, try indulging them next time you stress out. Keep things as healthy as possible. Fruit instead of candy. Honey and yogurt instead of ice cream. That sort of thing. You might find this nips the stress in the bud, and it will definitely keep you from stressing about the sugar cravings you’re experiencing and the guilt you might feel. Ah, humans and our big brains with the unique capacity for thinking about thinking about thinking: we really get ourselves into trouble, don’t we? 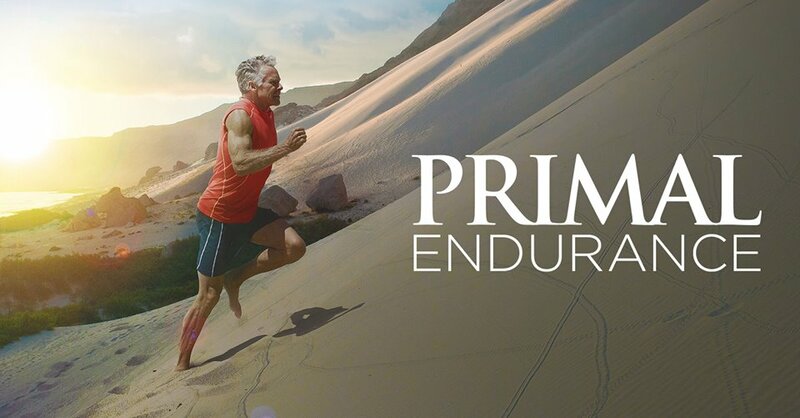 I’m 48 and I’ve been living primal for a few months now. I still have quite a bit of weight to lose but I am feeling better and better every week and the really cool part is that my family can see the difference and are starting to jump on board with me. I’ve been very active my whole life and fairly lean for the first part of it but after I got out of the Army at age 31 I kept getting heavier and heavier no matter what I did or how hard I worked out. I could have been the the SAD poster child with all the garbage I ate in the name of good health. Now that I’m eating and living primal, losing weight and burning all that stored fat I’m wondering how much of the bad stuff got stored with that fat. 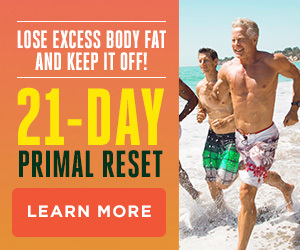 Do we have to burn through “bad” stored fat to get down to the lean groksters we were meant to be, and will there be times when we may feel the effects of the old diet as we burn through stored fat? Organic pollutants readily accumulate in the adipose tissue of the obese — those with the most adipose tissue from which to draw samples. So if nothing else, we know that we’re storing these environmental toxins in our body fat. They’re there. In one study, subjects 40 years or older were separated into five weight categories: stable weight, moderate increase, moderate decrease, large increase, or large decrease. Researchers took blood samples and measured organic pollutant levels, finding correlations between weight loss and elevated levels of five of six studied pollutants. Among those reporting significant weight loss in the past 10 years, the blood levels were highest. Those who’d gained significant weight in the same time frame had the lowest pollutant levels. This isn’t proof that the weight loss is causing the greater serum pollutants, but it’s suggestive. Another study found that weight loss increased serum levels of five common pollutants in obese subjects. Some of the pollutants were reabsorbed into the remaining subcutaneous body fat. After an 18-week diet and exercise followup period, the levels were still elevated, suggesting that continual weight loss steadily leaks stored pollutants. Pollutant levels increase whether weight loss occurs via low calorie dieting or through bariatric surgery. Assuming weight loss does release stored toxins into the blood (and it probably does), is weight loss unhealthy? No. In study after study, weight loss leads to improved quality of life, health outcomes, and resolution of metabolic disease states. The burden of obesity cannot be overstated. Furthermore, accumulation of pollutants in adipose tissue is usually linked to adverse metabolic conditions. In the study of obese Portuguese patients, those with the greatest levels of pollutant accumulation were most likely to have hypertension, glucose intolerance, and other components of the metabolic syndrome. Other research confirms the connection between organic pollutants and metabolic dysfunction, so this stuff isn’t benign. It’s not “locked away” in the body fat, rendered inert through safe storage. That said, will some people experience transiently negative effects from losing weight mediated by the release of organic pollutants? I’m sure they will, and there are anecdotes aplenty that attest to the phenomenon. There’s another possibility that might explain some of the increased pollutant levels after weight loss: the loss of toxin storage depots means any additional environmental pollutant exposure manifests as increased serum levels. With fewer places to store it, anything coming in sticks around. And since we’re constantly exposed to pollutants in our modern environments, it’s always coming in. Don’t let the prospect of toxin release prevent you from losing weight. As you say yourself, you feel better than you have in years. That’s no accident. It’s the best way I’m aware of to know that you’re doing something right. Anyone experience “toxin-related” symptoms during weight loss? It’s my understanding that most people feel great when they lose weight (must be all that animal fat they’re consuming), but I’d be curious to hear from people with different experiences. Have you ever used sugar to counteract a stressful experience? Were you able to keep it acute and occasional, or did you find yourself lapsing into regular, chronic use? I think the stress-sugar connection makes perfect sense, especially if you look at it from an evolutionary standpoint. Our prehistoric ancestors experienced acute stress primarily due to physical situations (labor, running from animals, running to animals to hunt, etc.) so in those cases sugar does an excellent job of helping us out. Now, most of our stress is chronic mental stress which activates many of the same parts of the body acute physical stress does, but doesn’t go away after a relatively short period of time. The only effective solution I’ve found for my sugar cravings is….sugar. Banning it was counterproductive and unnecessarily stressful for me. Plus, sugar is just evaporated sugar cane. I used to eat sugar cane as a kid and never got fat. I use the least processed sugar (turbinado) in my tea, coffee, lemonade, oatmeal etc. And on cheat day, I have guilt free ice cream and chocolate. I’ve lost wt and now down to 135, happy and all is well with my world. Yes ‘banning’ it was unhelpful for me too. If I get a sugar craving now, I don’t ignore or resist it, I just try to find something sweet that’s also going to be nourishing – ie. homemade paleo granola with coyo and strawberries hits the spot, or roasted root vegetables like beetroot and carrot. There’s no reason why ‘sweet’ HAS to mean sugary, processed junk! I always thought that I had sugar cravings when stressed because my willpower or mental strenght, so to speak, waned. I tend to indulge (indeed as healthily as possible, with fruit or dark chocolate) and not stress about it, I’m glad to know that’s the right way to go! In my diabetic world of limited carbs, a whole Honeycrisp apple is the ultimate treat. I don’t do any kind of food for stress, that’s an addiction I don’t need. I save my apple for a special occasion, usually when there’s something to celebrate, or as a 3:00 pick-me-up when I’m on a long road trip. There is no pastry, or processed sugar food that compares to my occasional apple for me, and it leaves me feeling great, not like a trash can. Regular white sugar is GMO. it is made from GMO sugar beets, If a sugar fix is a must use organic, I noticed Mark mentioned a Mexican coke, It is made with real sugar and not HFC, my choice when I’m a bit stressed. When I first started my paleo venture, I did a Whole30 and was strict in following the program. I didnt have any sugar cravings and dropped weight easily…it really works! For maintaining weight-I limit my sugar intake as much as possible. I partake of the occasional dark chocolate if I am craving something sweet- and I substitute honey and maple syrup in paleo recipes. I do have occasional cheat days and dont feel guilty at all bc I go right back to eating healthy! I love baking, cooking, and food- and have had a sweet tooth all my life. So you better believe that if I eat a treat, it is special and worthwhile!! You have to have an overall awareness of the foods you put into your boday on a day-to-day basis-and you do have to do your own homework and prepare. I have been able to deal with stress without too much harm or guilt. My body has never felt better and I am at a point where I have a positive relationship with food. I am learning all the time…many thanks to this website for the info-and all the food bloggers out there who make paleo eating so delicious and doable. A special shout-out to Michelle at nomnompaleo for all the awesome recipes. My grandfather was a pediatrician back in the 40’s-70’s. He would recommend a spoonful of sugar to be given when a child is having a tantrum, after getting vaccinated, etc. When my oldest was a year old, I purchased a box of old fashioned sugar cubes. I have only used a third of the box in 14 years on my two boys. These little cubes worked excellently in calming them. I have been criticized many times for doing this. Now I have science to prove my methods. The traditional way in our British household to deal with shock, from a nasty bump to a family bereavement was “hot,sweet tea”. My older family members had been through a Blitz and knew what to do! Another part of the “hot, sweet, tea” combo is caffeine. I have PTSD and when I would start to go into shock while out and about (early days of dealing with it) my mom would pull into a Starbucks and order a latte with an extra shot of espresso. Never failed to calm me down. I didn’t know what she was doing the first time she did it, so not a placebo effect there. BTW, I’d noticed on British movies and TV that “hot, sweet, tea” was always the first thing given to people in shock. That “hot, sweet tea” was offered to me by concerned relatives in Yorkshire when I was having a rare migraine during a visit. I had never heard of it used as a medicine so I declined, having just lost a hundred pounds on a diet containing no sugar! I always wondered what the benefit would have been. I should have accepted it. Caffeine is known to be helpful with migraines and is usually included in migraine medicine like Excedrin. The tea probably would have helped! I was thinking of thinking about thinking what my spilt coconut milk had to do with my occasional coconut sugar in my morning coffee. Now it all makes perfect sense. I find that after avoiding it for a week or so, my sugar cravings go away completely. But they come back with a vengeance as soon as I eat something processed. If I’m going to have a dessert or something, I try to wait till after dinner, that way I’m not struggling all day long with the cravings. The next day I eat a primal breakfast and I’m back on track again. Sugar isn’t poison, but it’s not particularly healthful either. It’s also definitely addictive for many people. For some of us, it’s not just sugar but sweets in general that are addictive. Sweets addicts usually have a weak spot. For some it’s soda pop, for others it’s candy, or homemade cookies, or anything chocolate, etc. If I don’t eat sweets I don’t crave them. It’s that simple. I’ve never had any problem passing up sodas, candy, and most chocolate, but it took several years of being sweets-free for me to be able to eat a tiny piece of cake a few times a year without immediately wanting more. Based on some of the comments I’ve read, I think sweets addicts are very good at rationalizing and lying to themselves. I’ve been down that road, and it gets counterproductive very fast. The acid test is if you are uncomfortable or unhappy going even a single day without something that’s sweet, you qualify as an “addict”, no matter how you manage to justify it. I really enjoy a milk chocolate button with my morning coffee and one with my evening tea, then a heaped teaspoon of raw honey before bed, along with a 25g piece of choc and a small piece of a homemade gluten free dessert on both Sat and Sun. That’s my sugar intake for the week, I keep my weight stable and don’t feel the need to have any more BUT I would feel unhappy without my daily buttons and honey, so am I an addict? Maybe, but I don’t feel it has a detrimental effect on my health. Just a friendly heads up. I was eating a little dark chocolate at night for awhile until I realized it was affecting my ability to fall asleep. Took me awhile before I realized cacao can do that. I’ve been consciously eating a bit of dark chocolate (74%) every day as my afternoon snack at work. My work is constantly busy and stressful, and I recognize that sugar isn’t the best solution but my consumption is moderate, and it works! I don’t crave sweets at other times (only fats, and I indulge those with some spoonfuls of butter). Unfortunately, chronic stress is a part of my life. I do a variety of things to manage it (walking, exercise, snuggles with my dog, nature time, etc) but right now dark chocolate is one of those coping mechanisms. You could also try raw cocoa beans. They might seem a tad bitter at first (even if you’re used to 70+% chocolate), but for me it’s everything I liked about chocolate without any of the junk. I even find my previously favorite 85% chocolate unbearably sweet now. If you do feel like having something sweeter, just eat ’em with some fruit. Annie, I am going through this now. As I lose weight, the attacks come on. I have found that they begin where the tophi are. This is good because it means the uric acid deposits are dissolving. It is a slow process but I try to maintain a tinge pain instead of a full blown attack. I have slowed my weight loss to one or two Lbs a week. I have cut back significantly on alcohol and fructose. I work through the pain with movement. On days when it is too painful to walk I row or swim. Physical activity is the best analgesic. I have reduced meds to one colchicine 0.6 and one indomethacin before bed and do not experience side effects. I drink plenty of lemon water and also take alkaselzer gold. Make sure it’s the Gold version because it has potassium bicarbonate. So far this has held off a full blown total joint lock down. The pain at the tophi node on my left knee is gone and the node is gone too. It took two weeks. I’m working through the node on my right outer metatarsal this week. I will beat metabolic arthritis and your husband will too. Sugar for stress can lead to weight gain, I ate HUGE amounts of sweets and got myself 21lbs more than I needed, had to go through the Loaded Gun Diet to lose it. When my family gave up sugar and went whole30 we for sure had some toxin hangovers! But just as there is rain before the rainbow, after the hangover feeling, fatigue and headaches were gone the energy and clearness of mind just fell into place. My family lived down wind from a chemical plant making the active ingredient in Agent Orange. We all swam in the sea close to the ‘storm water’ drain from it in the 60’s and 70’s. Around 13 years ago I lost around 30kg using the high carb calorie restriction and manic exercise regime recommended and then went on to have three heart attacks. My sister developed 6 separate different types of breast cancer at the same time. I’ve always wondered if the release of toxins in the weight loss process had something to do with my heart condition. We are both alive and well now and my sister is a vegan and I am on a low carb real real food primal style diet/lifestyle. Hey, thanks for the links to the studies. When I went paleo several years ago, in the first 2 weeks I lost the extra 5-10 lbs I’d been carrying around and got very lean. Then over the next couple of months I gained it all back +10 lbs more, was eventually diagnosed hypothyroid and have continued to struggle with my weight, energy, sleep, etc… for 3 years although I have remained largely paleo/primal. My endocrinologist hasn’t helped, my holistic doc has had better results but I still don’t feel well. 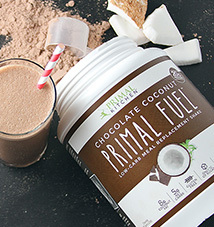 My holistic doc thinks the fat loss upon going paleo/primal released toxins into my system. So far we haven’t been able to find anything to counteract it however. Would love to know if anyone has experienced the same effect and was able to overcome it. Hi, Allison. 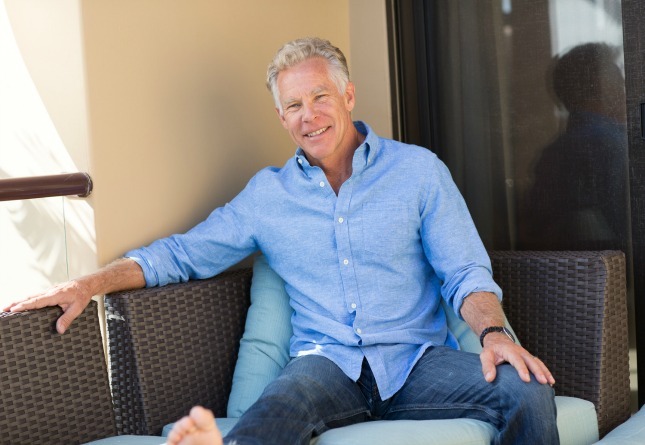 I recommend one of Dr. Lawrence Wilson’s Nutritional Balancing practitioners. Am detoxing slowly/safely with this method. Good luck. Surely the key thing with organic pollutants from weight loss (particularly with ketotic diets) is simply to drink enough water to flush it out of your system? I can easily imagine it takes a while (maybe longer than 18 months), but the body does heal. Weird that the studies suggest this is a possibly adverse effect of weight loss! I feel so much better after reading the article about stress and sugar cravings. 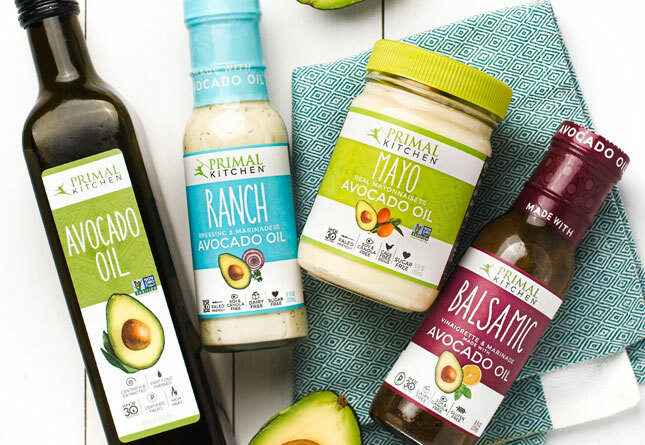 I have semi-chronic pain and I got back into Primal a few weeks. I had a major flare up in my pain on a day when I absolutely had to work out of the home. I had a few Cokes, because sugar and caffiene seem to be the only things that work under these conditions. I really beat myself up about it, too. I am back on track now. One of my goals is to break the pain/sugar combo. I will only induldge when the flare is severe and I must get some work done. Otherwise, I just sleep it off. I’ve never been one to crave sugar, even before I went paleo. It never took the edge off the stress when I tried. Salt and fat are what I want if stressed. Bacon is my drug of choice; though salami, prosciutto, chorizo, or crispy chicken skin will also do. @Katherine – mmm, crispy chicken skin! Fatty foods are definitely comforting during stress. I’m interested to see how many other people turn to sugar, though! A thing worth adding about sugar is that it’s a significant cause of stress on the body as well. When we get in the habit of turning to sugary foods for comfort, a lot of us experience crashes an hour or two later. The same thing that gives us relief ends up causing us more stress – not very different from many highly addictive drugs – and then we turn to more sugary foods again to fix our stress – not very different from many highly addictive drugs. I believe this affects a huge portion of our modern cereal-and-bagel-for breakfast population. Fixing this cycle is one of the first things I talk about with my clients who use sugar to regulate moods. My current idea is that the sugar/fruit cravings and adverse effects some people get when going very low carb might be caused by inositol deficiency (one of the B-vitamins), which occurs in fruit, beans, and wheat. Deficiency in even the unhealthiest standard starch-based diet seems relatively unlikely compared to the potential on a very low carb diet. 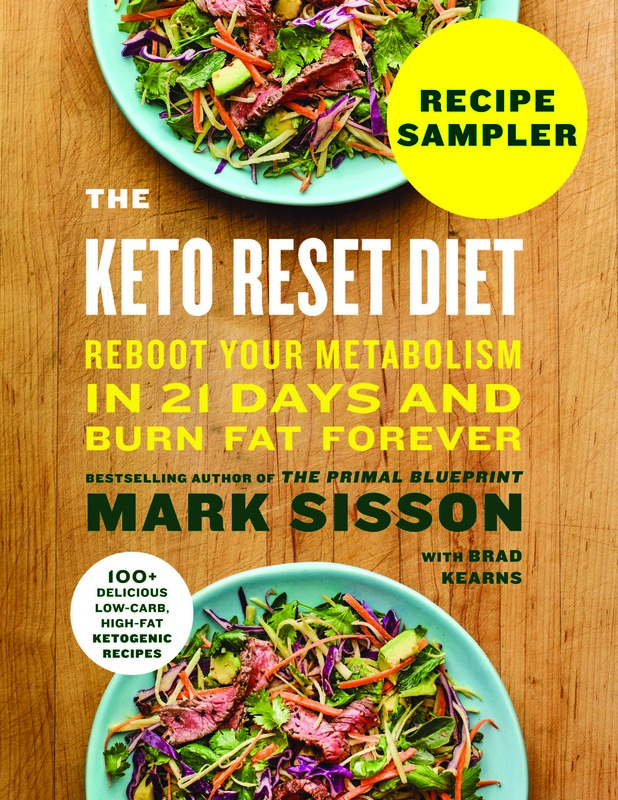 I’ve been on a high-fat keto diet for 4½ months, and feel amazing – more energy, better sleep,but I did get fruit cravings especially for dried fruit and ginger – when I did some digging, I discovered a possible link to inositol and supplementing it got rid of those cravings. Anyway I’m posting this as an idea for people to research for themselves since I’m neither a medic or nutritionist. d-Ribose is a sugar that is part of the ATP cycle I believe, some studies indicate it helps with chronic fatigue and with heart muscle strength. Just thought I’d toss that out there for what it’s worth … perhaps all sugars are not created equal. I believe someone on a heart treatment program or with fibromyalgia takes 15 grams a day. Of course, if interested you should reseach this and discuss with your health care provider be it an MD or holistic doctor. Anyway, thought provoking stuff from Mark as always. There is very little in the way of excuses that justify sugar consumption in my mind. The desire for sweetness during stress is likely something to do with the sweetness of breast milk. Distressed babies and toddlers are soon calmed through breastfeeding and it works very well to get a child through blood tests and other procedures. No wonder sweet, milky tea/ coffee or ice cream works. I sometimes crave double/thick/heavy cream. I use sugar this way, and have for about three years now, since I finally realized what carbohydrates-particularly refined ones-were doing to me. Since then, I eat almost no sweet things and thankfully don’t crave them, and when I do I use only non-refined sweetners like honey, raw sugar or maple syrup. But. When there’s an acute stressor, I think sugar is very valuable. My flatmate had to go all year last year, once a month, for very painful treatments at the hospital for which she was given no pain killer (we live in a developing country: plenty of refined disgusting crap to eat, but very different attitudes and capabilites with health care). Anyway, she would leave afterward lightheaded and shaking, obviously traumatized. This being a developing country, there’s no hopping in the car and heading home. It’s 2 hours on public transport. So I started going with her, and while she was in the hospital I had an idea, and started running down to the import store and getting a small box of Hershey’s chocolate milk or an almond Snickers–all depending on what they had. Once it was just a cheap lollipop, but I looked for things that had some protective fat, not just sugar. Worked like a charm. Within five minutes her blood pressure was down, she’d stopped shaking and was her normal coherent self. I also noticed that while at other times she’s quite sensitive to sugar–getting a quick burst of energy and a fast crash afterward-that didn’t happen on these occasions. I think I’ve done something similar twice. Once after a near accident on the moped-half a Payday bar that time-and once for something I can’t remember now. I think I had some chocolate mousse that a friend made (hence it had white sugar, and more of it than I would use). Both times I had the same experience. Sugar, that I am normally very acutely sensitive to, caused me no problems, but helped me stop the shaking, panting, heart-racing of acute stress. Since then, I always carry a Snickers bar or something with me in situations where someone might get hurt (out hiking for example). We don’t touch it–we eat the good stuff I make and take like beef jerky. But we keep the bar as long as it’s good for if someone breaks a leg or has some other acute stress (that doesn’t affect organs). The sugar-stress relief link is particularly interesting in the light of Mark’s light-hearted suggestion that expectant fathers eat sugary treats during labour. I wonder if women in labour wouldn’t benefit from sugar hits, and post-delivery. Delivering a baby is very stressful, no matter how much you want the child. Maybe the baby blues are a marker for a need for sugar? Several years ago I spent some months living in southern Madagascar. I was prescribed Mefloquin (Lariam) as a Malaria prophylaxis, which I ultimately had to stop taking because the side effects were so debilitating. Over subsequent years my weight has fluctuated a bit (within a range of only about five pounds depending on the extent to which I adhere to a primal lifestyle). I’ve noticed that every time my body fat mass enters a period of decline, some of those mefloquin side effects return! My theory has been that the metabolism of that adipose tissue releases residual Mefloquin from my cells. Ugh! Does anyone have insight into the possibility that such a release might help my body “flush out” the medication entirely? I never posted a comment before, but I have to comment on this. I lost about 60 pounds (~30 kg) of weight last summer after I went primal. The weight loss happened over just 3-4 months, it was rather rapid. I had a history of heavy pain medication and other meds which couldn’t be good for my liver and other organs, but at that time, I did not think about those things. So last July (almost a year ago now that I think of it), shortly before I moved and started a new job, I got recurring pain in my right shoulder. I’ve been to various physicians, orthopedists and whatever else. I’ve got various courses of painkillers, muscle relaxants and physiotherapy. I upped my workouts. I did everything I could over the course of the past year. There was nothing wrong with my shoulder. I’ve been to X-ray, I’ve been to CT, there is simply nothing wrong with my shoulder or my arm. Still, the orthopedists said it’s probably of my crooked ribs and the upper rib pushes against a nerve and irritates it, and all of the (effectless) treatment was focused on that. 2 months ago, I found out about osteopathy. I went to an osteopath. He asked me a bunch of unrelated questions, briefly checked my shoulder and neck and said: it’s because of the liver. He said to drop the meds immediately, to stop drinking alcohol and coffee (I’m not much of a coffee drinker anyway) and drink at least 4 liters of water or herb tea every day. He said, after I dropped the weight, the toxins from the years of heavy medication got released and the liver couldn’t process them that fast. He then pushed his hand underneath my ribs and touched my liver and I had one of my most painful experiences ever. So the nerve inflammation in my shoulder was coming from the liver, since the nerve cord coming up from the liver connects with the nerve cord that supplies the shoulder and arm. For the past few weeks, I’ve been drinking water like a horse, abstaining from alcohol and coffee – and my pain has almost got away. I still feel the nerve sometimes, especially under heavy workload, but it is getting better. So here’s my toxin release story, I guess. I still don’t regret going primal and dropping weight, it’s made my life so much better. And the liver will heal, or so I’m told. Years ago before I’d heard of paleo I managed to diet down to my goal weight. Then I started a very stressful job and found that drinking tea with milk and sugar helped me cope. Eventually I left the job but continued drinking sweet tea. Every three days I’d go through 24 tea bags, a liter of milk, and 500g of brown sugar. Needless to say my weight climbed all the way back to what it was. These days I’m about 70% paleo. I still drink lots of tea, but with a slice of fresh ginger (nature’s Viagra, according to a foodie), no milk or sugar. I also drink my coffee black with no sugar, and drink plenty of water just before I go to bed, because the body does all its repair work at night and I figure it needs the water to transport nutrients and waste products. I’m losing weight slowly and steadily, about 1 kg every 10 days, and I’m very healthy with no aches or pains. What do you mean by Mexican Coke ? It means Coke the way it is basically anywhere in the world but America: with sucrose instead of HFCS. I feel this post is taken far out of context. Sugar reduces cortisol. Yes. Why? Because sugar is the fundamental fuel of your brain. The basal metabolism tends to run on fats. If you never got out of bed in the morning and slept all day long, you’d be burning a lot of fat. Metabolic activity above basal rate is best supplemented with glucose. Sugar reduces cortisol because our bodies connect sugar consumption with plentiful food. Since we historically ate A LOT MORE CARBS THAN FAT (we evolved in Equatorial regions where fruits and tubers were easy pickings and game meats are very lean), our bodies tend to associate carb count with plentiful food and feasting times. You know, times of low stress. These calorie-replete low carb diets are a funny thing. They don’t make a whole lot of sense. Coconut oil, for example, is metabolically the same thing as white sugar – empty calories that get primarily metabolized through the liver and do nothing but add energy while providing no micronutrient content. Whether or not it spikes your insulin is meaningless. If that mattered, protein would be off limits since beef spikes your insulin more than white sugar, which has a pretty low insulin response thanks to its 50% fructose content. The goal should be to primarily eat real food. Oil or sugar, doesn’t matter. If you can have a teaspoon of oil, you can have a tablespoon of sugar. Eating 2 tablespoons of coconut oil before bed is no different than having a 20 oz Mexican Coke. Eating 2 tablespoons of coconut oil before bed is no different than having a 20 oz Mexican Coke. Both sound rather idiotic. Is that a real example? That being said, at the very least the coconut oil wouldn’t destroy your teeth, so even if all other things were equal the coconut oil option would be preferable. Totally anecdotal evidence, but when I started dieting and taking off some of the fat that accumulated in my teen years, I started getting really bad drug cravings for the first time in years. I was in a bad home situation at the time and had turned to drugs as a way to cope. Totally stopped by the time I turned 18 and never really felt the desire for them again, until 5 years later, when I started dropping some weight and started feeling like I was going to die if I didn’t start taking drugs again. I didn’t, but it did stop the diet in its tracks, and the cravings vanished. Very weird, and the prospect of it happening again scares me. I’ve had the weight-loss toxin-buildup thing a few times. One thing that works: large doses of vitamin B12 (1000mcg+/day) will chelate a lot of heavy metals. Plus its generally good for you, has no harmful effects, and tastes like cherries. Regarding the topic of sugar – what irritates me is that folks forget that so many people have hidden candida overgrowths (the fungal form and not the mere yeast state) and so sugar consumption in that case only feeds the hyphae and feeds the things in their body that is robbing them of their nutrients and leaving behind toxic gunk. 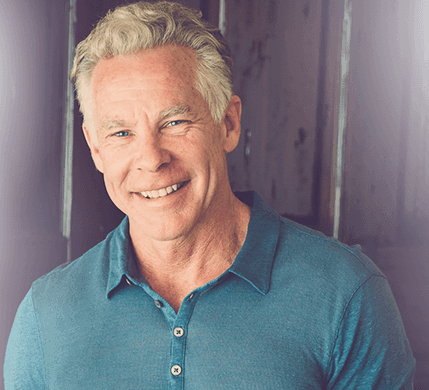 I have encountered to so many folks who get defensive about sugar – even a spirit of ridicule – which I heard happens when any truth is so foreign to a belief system. I have been teased for taking a stand against sugar – for showing a study that showed HFCS scars the liver – or for just saying we do not need sugar need to be healthy…. sometimes I think of the show “little house on the prairie” – when the mom buys a cup of sugar and uses it wisely. we go thru bags and bags – but back then – a cup went a long way. everyone appreciated the taste of whatever she made and it was a treat. anyhow, instead of people catering to their sweet cravings – it takes a whole different approach to see that eating smart can be SATISFYING to where you are not balking at the dessert case – because when you are full and feeling all good with the right foods you will not argue the need for sugar because you are satisfied. and feeding your body meats, quality dairy, and alive veggies – (some fruits) – well you see all things differently – cos you are satiated. and stress still comes – but let’s take a good dose of b-complex – or soem extra B-3 (niacin baby) or make something with fats and cocao – etc. thanks for another great post M.